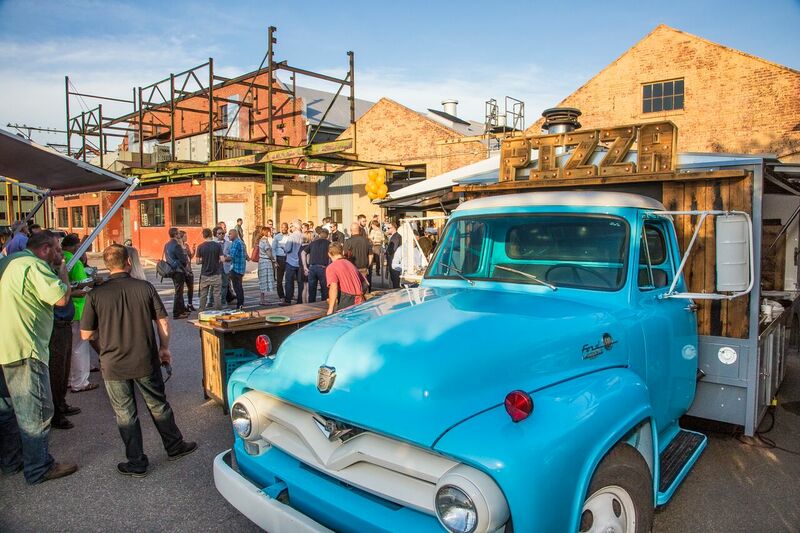 Enjoy Wood-Fired Pizza at your next Corporate Event! With the help of Mountain Crust Catering, you can plan a corporate event that your employees will be talking about for years to come. We can provide an experience like no other with our mobile brick oven pizza trucks. Get your employees outside, socializing and dancing to our renowned music playlist as we provide them with unlimited pizza, salad and appetizers. Our staff is friendly, eager to help, and passionate about the food that we provide for you and your guests. We want everyone to experience the magic of Mountain Crust’s gourmet catering, so we are more than happy to meet any dietary restrictions; such as, gluten free, vegetarian, pork free, dairy free, vegan diets, or any allergy. Our trucks are equipped with wood-fired brick ovens imported from Italy, three beer taps, custom made buffet tables and an incredible crew of pizza aficionado’s. You can totally customize the experience for your employees with additional appetizers, salads or beer/wine service. Your employees will have an opportunity to really relax and spend time getting to know each other all while enjoying our incredible selection of seasonal pizzas, appetizers and salads. Mountain Crust’s pricing is as competitive as it gets for full-service catering and we are always available to answer any questions you may have before the event. We are a full-service catering company, we can provide all plates, silverware, glassware and will do a full set up and clean up for the event if needed. Mountain Crust also keeps sustainability in mind! We recycle and compost at all of our events and strive to be a net-zero waste company. Feel free to get in touch with any inquires so we can help plan an event that will leave your employees as grateful as ever! You bring the people and we’ll bring the party!